Favourite Things: Dressing the teddy bears, Splashing therapists. Amelia had good functional movement of her left upper limb however, there was evidence of lack of spontaneous use at times during bimanual play. Amelia also struggled to orientate her hand when attempting to grasp objects also demonstrating reduced grasp strength. The aim of the 3 weeks was to increase overall awareness and use of her left upper limb in bimanual tasks. This included activities to increase strength, range of movement, and ability to consistently use a variety of functional grasp patterns. To increase the strengths in Amelia’s ability to grasp an object. To increase Amelia’s orientation and precision of her left upper limb. To attempt to increase the variety of grasp patterns Amelia can achieve. To increase the use of Amelia’s left upper limb in bimanual tasks. To practise grasp and release regularly. 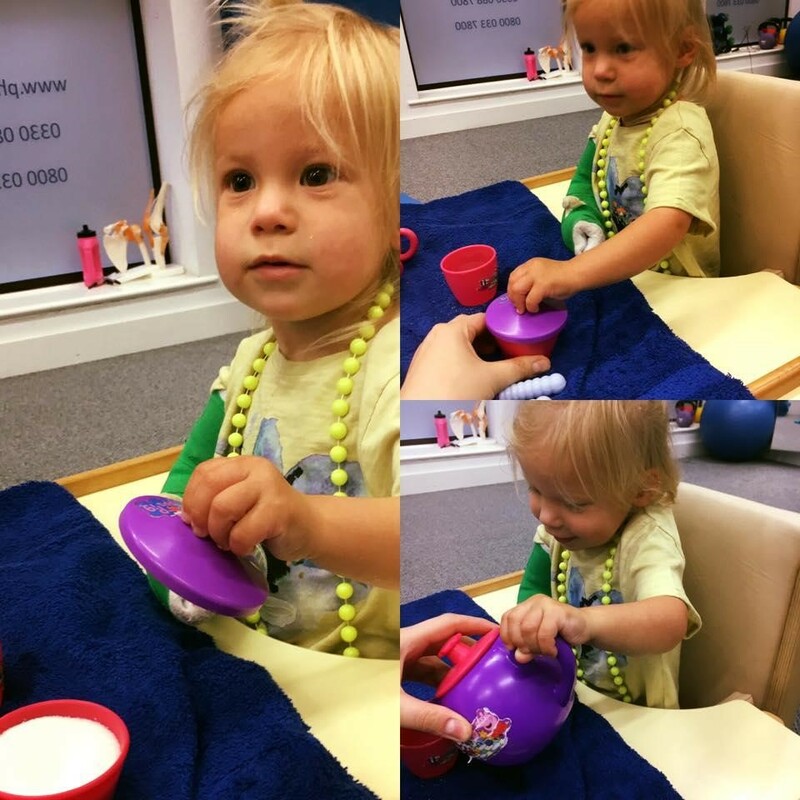 "Amelia is now more independent"
"Amelia requires less support in tasks such as feeding herself"
The aim of Amelia’s CIMT programme was to improve the general use of her left upper limb in bimanual tasks using efficient functional grasp patterns. 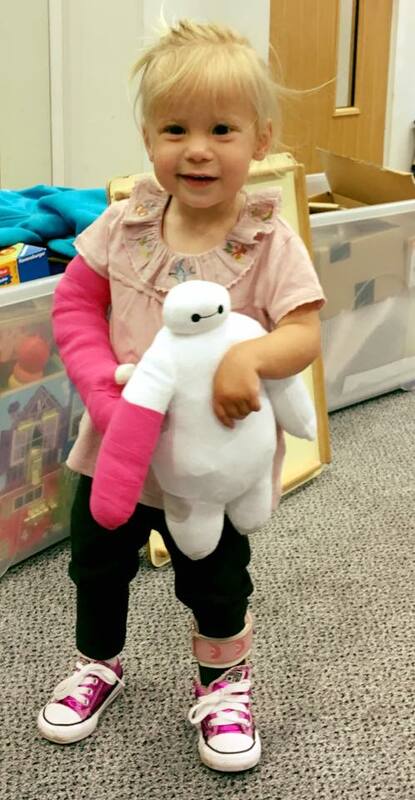 The use of the lightweight cast on her stronger arm meant that she used her left upper limb more in play based activities, which provided positive reinforcement to overcome the learnt non-use. This effectively will have helped to rewire pathways in the brain to improve Amelia’s ability to use her left upper limb in bimanual function. Amelia demonstrated increased range of movement throughout her left upper limb increasing her ability to self feed. The quality and range of Amelia’s grasp improved including grasping items from a full box e.g. balls. Amelia demonstrated increased strength in her left upper limb enabling her to build towers with heavy blocks. 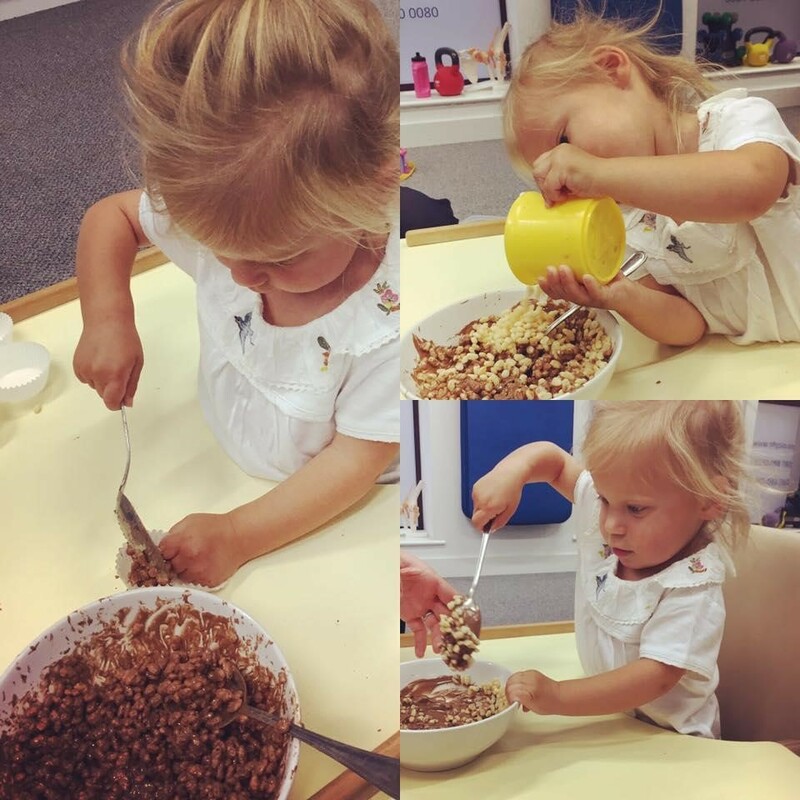 Amelia is now able to use her left upper limb more functionally in bimanual tasks such as baking cakes, making music and gesturing e.g clapping. "Amelia now appears to have more awareness of her left side and is completing tasks with less prompts"
"CIMT met our expectations and we would recommend to go for it. The therapist were really good with Amelia and made the whole experience enjoyable. Seeing Amelia smile and asking her to go to the therapy in the morning showed that she was enjoying the programme." "We completed home version of CIMT after research and saw great results so wanted to see if extended results could be gained by 3 weeks intensive therapy." - Steph, Amelia's mum. She kept the therapist entertained throughout her 3 week programme with lots of smiles and laughter. "To see him try and hold a marble was amazing." - Sara, Thomas' mum. “CIMT met our expectations and we are so impressed with the results.” - Laura, George's mum.